THERE WERE 76 discharges of newborns from Irish hospitals with drug addiction withdrawal symptoms in 2017. Between 2013 and 2017, a total of 472 discharges from Irish hospitals of newborns with drug addiction withdrawal symptoms due to their mother’s use of drugs during pregnancy were recorded. A breakdown of the drugs the babies were experiencing withdrawal from was not provided by the HSE. Justin Gleeson, a Drug Liaison Midwife with the HSE Addiction Service working in Dublin’s Rotunda Hospital, said that while there is a significant cohort of women presenting with primary opioid addiction, they have also seen a change with the rise of unprescribed tablet misuse. He added that there is also a significant issue with cocaine (both powder and crack), along with cannabis misuse and alcoholism. The figure of 76 represents a drop in the comparable figure for 2016, when there were a total of 92 discharges of newborns with drug addiction withdrawal symptoms. Over the past five years, 2013 saw the highest number of such cases, with 119 cases recorded. There are no figures available for 2018 yet. Figures released from the National Drug Treatment Reporting System in May have provided an insight into drug use across the Irish population. Opiates (mainly heroin) were the most commonly reported drug – however, the proportion of cases treated decreased from 58.1% in 2010 to 47% in 2016. Cannabis was the second most common drug among those treated, with the proportion of cases who reported use of cannabis increasing from 23% in 2010 to 26.4% in 2016. Cocaine was the third most common drug reported for the period covered – followed by benzodiazepines and z-drugs. In 2016, 12.3% of cases reported problem cocaine use – the highest proportion since 2010. Speaking of the initial symptoms newborn babies who are beginning to experience neonatal abstinence syndrome may have, Gleeson said they could have a high-pitched cry and exaggerated tremors. “They can be quite agitated and are very, very difficult to feed. As a consequence, because they’re so difficult to feed they would tend to lose weight quite rapidly,” he said. However, Gleeson noted that the hospitals ”never allow babies to get to a state where they’re in a state of distress”. Any baby who has been exposed to various illicit substances that are linked with significant withdrawals are kept in hospital for 120 completed hours post-delivery, according to Gleeson. “That basically gives us an opportunity to observe the baby, even in the normal environment. The baby always stays with the mum, they’re not taken off the mum and placed inside an ICU or anything like that, or they shouldn’t be unless they need to be,” he said. During the 120 hour period, the hospitals use scorecards to keep track of the baby’s symptoms. “[It's] where we attribute a certain amount of points for various withdrawal-like symptoms,” Gleeson said. If a baby scores at a certain level, they will then be placed in the hospital’s neonatal intensive care. They are admitted here, Gleeson explained, because “the drugs they need to be administered during the period of withdrawal have to be administered by a qualified NICU nurse”. Those drugs cannot be administered within regular wards. The treatment period varies from case to case, in response to the baby’s medical requirements – and could last anything from a week to two months, or longer. The babies will be weaned off the drugs they have been prescribed in the course of their treatment. “Sometimes we need to use a combination of different therapies for babies who are suffering from extreme withdrawals. It’s like a detox programme, that’s how we kind of explain it,” Gleeson said. If a baby is in a state of withdrawal, the baby will lose weight, wouldn’t thrive, which can affect all the different organs and that’s why we don’t allow these babies to get into these states. Gleeson added that not all babies whose mothers use drugs during pregnancy will experience drug withdrawal symptoms. The information provided by the HSE shows that almost half of discharges last year were from Dublin hospitals. 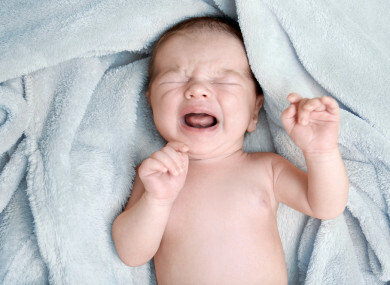 35 discharges of newborns with drug withdrawal symptoms were from Dublin maternity hospitals – The Rotunda, the Coombe and the National Maternity Hospital – last year. Meanwhile, 41 discharges were made in other Irish hospitals. Since 2013, a total of 256 discharges of newborns with drug withdrawal symptoms were from Dublin’s maternity hospitals. There were a total of 216 discharges from Ireland’s other hospitals. Speaking to TheJournal.ie, Dr Eamon Keenan, the HSE’s National Clinical Lead of Addiction Services, said that, as much as possible, doctors try to send the baby home with the mother. “We try to get the mother if they’re using heroin onto a methadone treatment programme so that they stabilise their heroin use. We encourage breastfeeding, for example, to try minimise withdrawals with babies,” Keenan said. Currently, within the Dublin area, there are three drug liaison midwives attached to each of the maternity hospitals. They support pregnant women who have drug-related problems and work with them for a period after the baby is born. The HSE has this year given funding for two more drug liaison posts, one in Limerick and one in Cork. These midwives are currently being recruited. The HSE was unable to provide information in relation to the cost of care for newborn babies with drug addiction issues. Email “76 hospital discharges of newborns with drug withdrawal symptoms last year ”. Feedback on “76 hospital discharges of newborns with drug withdrawal symptoms last year ”.